ABC Russian: Coffee: to change or not to change the gender? Coffee: to change or not to change the gender? The Russian word «кофе» из the problem word in Russian language. 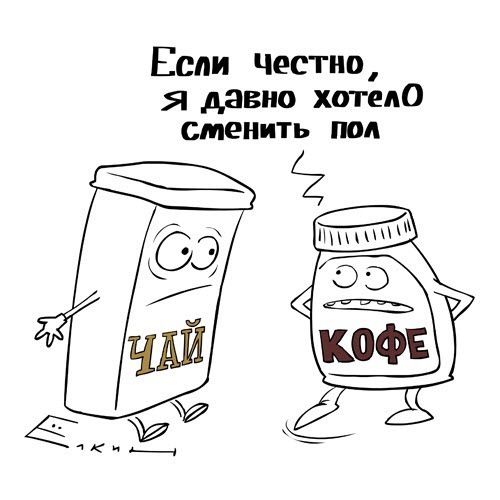 But inspire of the ending -Е in the word «кофе» - coffee is an exception and it is «ОН» (masculine). Anyway people often consider it to be the neutral word and often use the pronoun «оно» and adjectives with neutral endings speaking about coffee. Don’t forget and always use masculine endings speaking about coffee. Чёрный сладкий кофе с молоком.